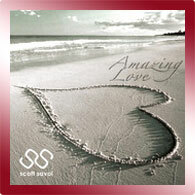 SCOTT SAVOL " AMAZING LOVE " AVAILABLE ON AIRPLAY DIRECT FOR ALL MEDIA ! MAHONING VALLEY RECORDS SIGNS BELLA NAE ! Bella Nae is no manufactured pop princess. The striking beauty is much more than someone’s concocted idea. Bella Nae is a songwriter/artist whose distinctive persona projects seamlessly into her music. Her unique sound can be described as pop with an urban R&B flare. Though she is not a rapper, the songstress effortlessly infuses lyrically impressive rhymes throughout her music. Bella’s delicate airy tone is intriguing, playful and leaves the listener craving more. The public’s exposure to Bella Nae came when she began performing the catchy track “Gimme” produced by OZ, a local Dallas producer, at a Dallas monthly entertainment networking event “ARE YOU THE NEXT 1?” Bella has also performed at The Dallas Juneteenth event, sparking a buzz and fascination in the Dallas area. Bella has also opened for major rap artists: Slim Thug and Charlie Boy. Bella Nae recently captured the attention of AIN Music and Distribution’s CEO David Ford. Hearing Bella Nae’s original songs, immediately Mr. Ford recognised the “STAR FACTOR” within and reached out to Bella for distribution. With David Ford behind Bella, her musical career is headed Beyond the Stars. Bella Nae gives the public a glimpse into her talent with “Marvin’s Room” remix and video, also “Take Care” remix. Both are currently in rotation on So Metro Radio and YessurrFM. Armed with a growing following, Bella Nae is making her mark on the industry. With her limitless talent, this budding artist is set to blur the boundaries of music genres and provide a fresh perspective to the current music scene. The stars have definitely aligned and the world will be surprising knocked of its axes come 2012 with the debut of Bella Nae’s original music. Formal press and media releases to follow. 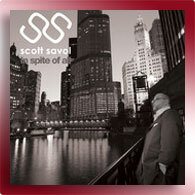 For all media and press enquiries + artist information please click on the BIO link below.